Pawsitive Impressions: What Do We Call Neighborly, Knowledgeable, Petcentric, and Trustworthy Service in Yorkville, Illinois? We Call Him Ben! 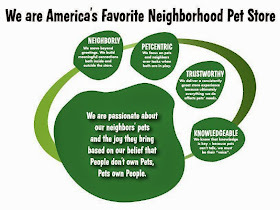 What Do We Call Neighborly, Knowledgeable, Petcentric, and Trustworthy Service in Yorkville, Illinois? We Call Him Ben! 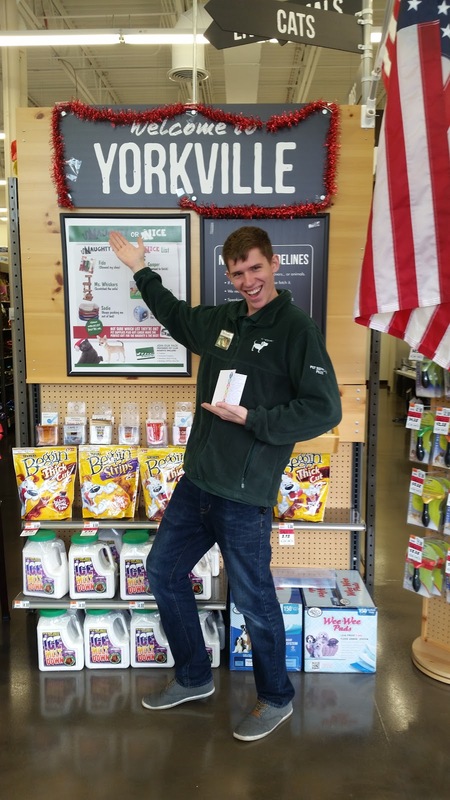 Team Lead Ben in our Yorkville, Illinois store is so spectacular we've actually received two notes about him in very quick succession! 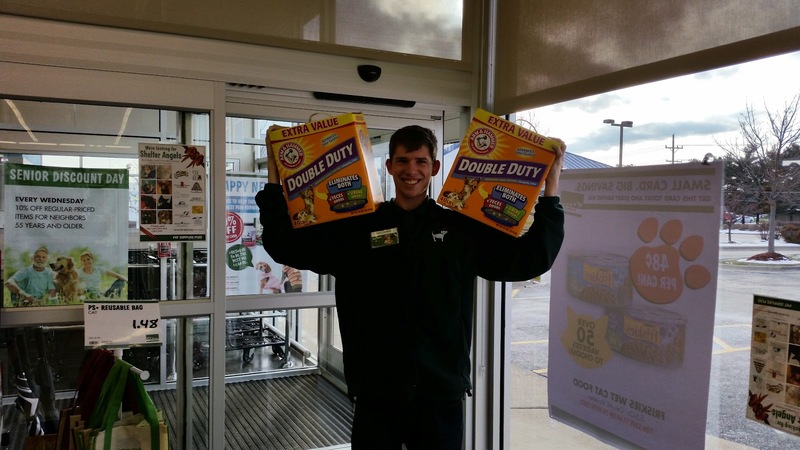 Neighbor Evan praised Ben for being knowledgeable and helping him find a new food for his pup. Then, Danielle tapped into Ben's cat knowledge when she needed help with licking and litter issues. She was pleased as punch with his assistance, but then wowed when he carried it all to the register and to the car for her. Way to bring the Paw Print behaviors alive, Ben! I would love to start off by saying, AMAZING CUSTOMER SERVICE! This past week I visited this store for the first time and actually it was by accident I did. I was on my way home from work and just stopped at a grocery store to pick up some things for dinner. 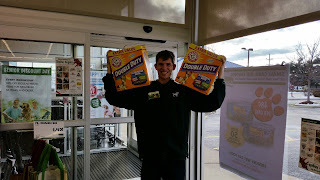 I left the store and while driving realized I forgot to grab cat litter. I did not want to have to turn around and go back. My other pet stores I visit were off the beaten path. Then it dawned on me that I would be passing by your store. I decided why not and gave you guys a try. Boy I am glad I did! I stopped in and immediately your associates greeted me and asked if they could help. I explained I was looking for a way to get my cat to stop licking and my other cat has a litter problem. Your associate Ben took me under his wing. At first I was kinda judgmental because he seemed so young in age. However, his knowledge with cats put my mind at ease and I fully trusted his advice. We looked at some creams and gels, he began reading each bottle trying to find me the best one. He was unsure if one was safe to put on my cat and I told him I would do some extra research at home. He wasn't pushy at all, which I liked! Then I explained my cat issues with the litter. He was helping me for a good 20 min. and gave such great recommendations. I picked out a liter and he carried it to the register for me-w/o me asking. Once I paid- he even said "here let me take this out to your car for you!" I was in shock! Your customer service is TOP NOTCH! Ben may be young but I was most impressed with his kindness, A+ customer service, and knowledge. I will be back for sure! Thank you for making my shopping experience a great one!